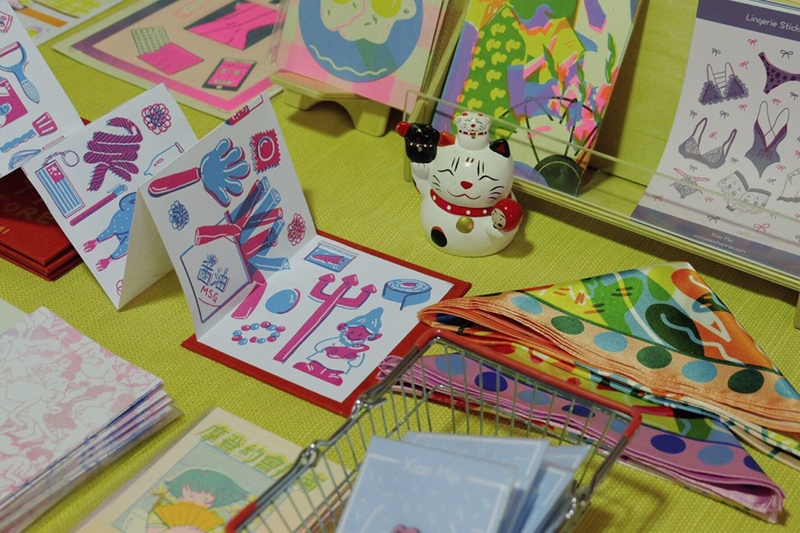 The Fabulous SVA Makers Market is set for Saturday, November 17th! 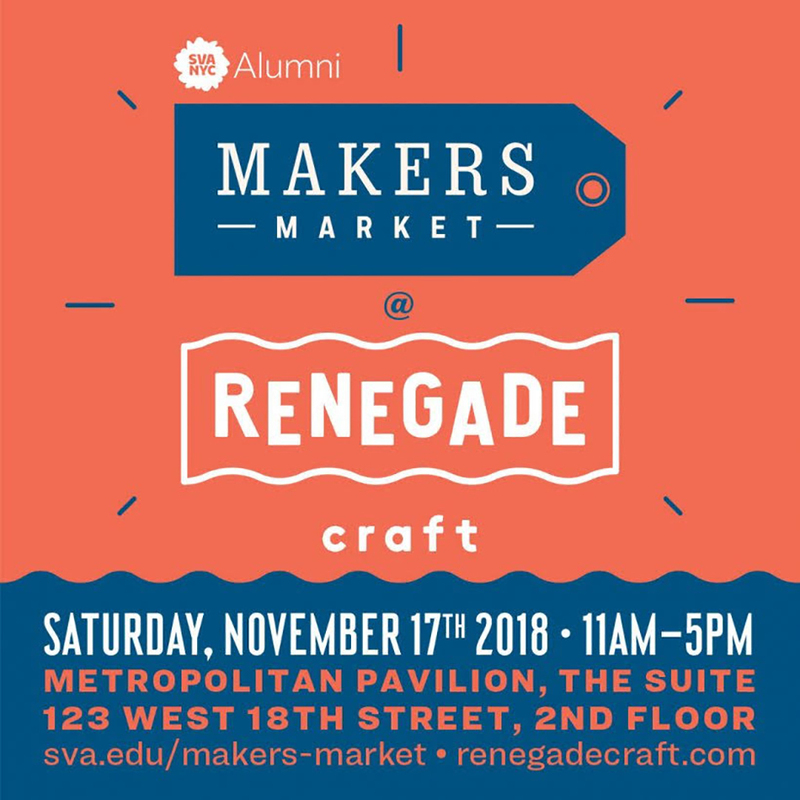 The SVA Makers Market Holiday Fair at Renegade Craft is one of our favorite annual one-day Events, showcasing SVA alumni-made items of every imaginable kind. SVA Makers Market, the pop-up product fair for alumni who make and sell their own products, is joining forces with Renegade Craft for a one-day showcase of alumni-made items, including apparel and accessories, furniture, jewelry, housewares, stationery, self-published books, zines and comics. Chock-full of some of the most creative and ingenious gifts you could ever give, here is a sneak-peek of what you might find ~ the Fern Lamp (above) from Astrid Valigorsky (MFA 1996 Photography and Related Media) of Dwarf Star Designs was conceived of as a substitute for a living/dying household plant. 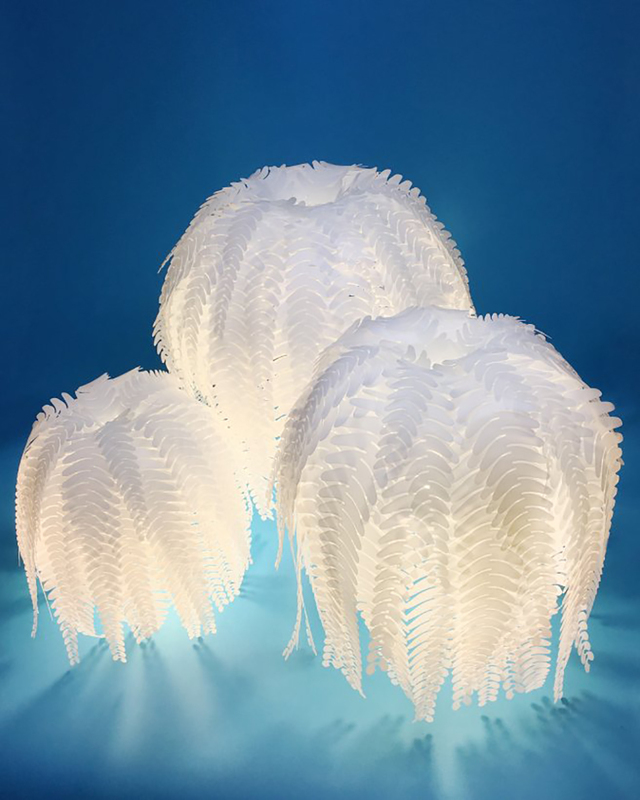 It is made of 100 pieces of laser-cut plastic, put together with a feel of both organic and ethereal. Also on tap will be zines, zines and more zines from the bawdy Rise-Printed adventures by Xiao Mei (BFA 2018 Illustration) image above ~ to the bold, two-color silk-screed Dancing Bears books by Natalya Balnova (MFA 2013 Illustration as Visual Essay) to the epic narratives interpreted and illustrated by Deena So’Oteh (MFA 2018 Illustration as Visual Essay). Many of SVA’s makers are printed-matter masters. Fire and Bone (below) offers true-to-life jewelry and collectibles derived from real animal skulls. 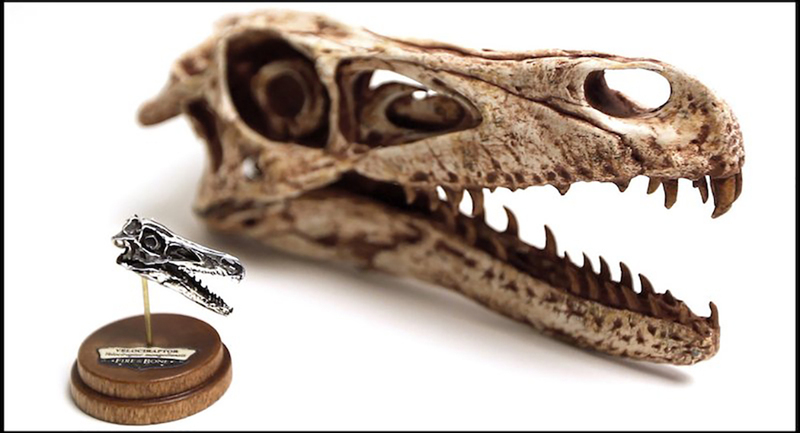 Via 3D scanning and 3D printing, Jason Bakutis (BFA 2011 Computer Art, Computer Animation and Visual Effects) and his team create incredibly accurate miniature skull replicas from hawks to foxes to wolves, which are then cast in bronze or sterling silver, perfect for a pendant or your mantelpiece. 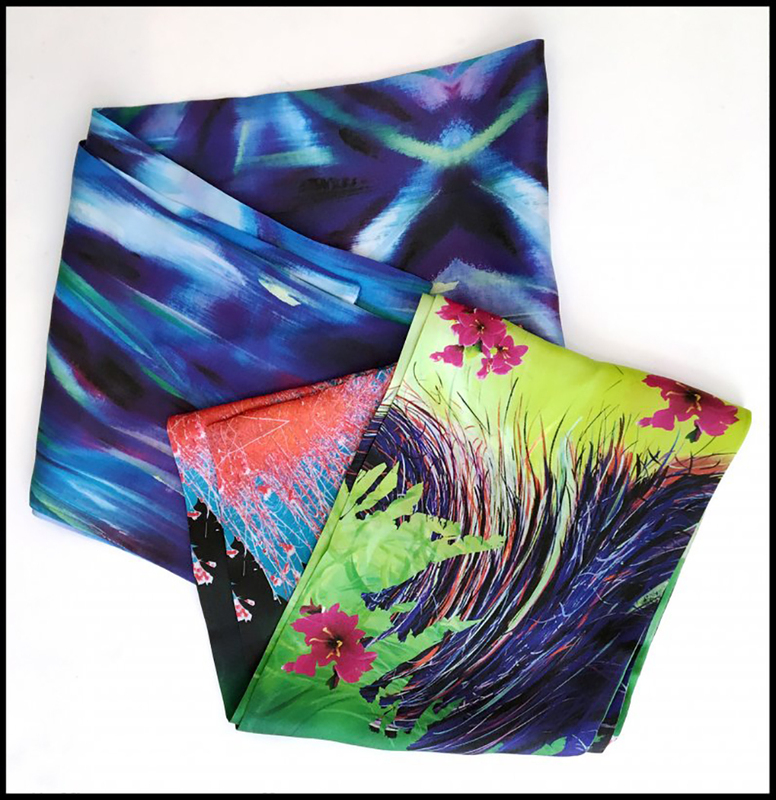 Printed totes and silk scarves with vibrant, verging-on-flourescent colors and dense patterning are the hallmark of i-K Wearables by Ketta Ioannidou (MFA 1999 Illustration as Visual Essay) and featured below. About 50 alumni will be participating, and one-hundred percent of the vendors’ table fees at the market will be donated to SVA Alumni Society student scholarships. The SVA Alumni Makers Market will take place on Saturday, November 17 from 11am to 5pm at the Metropolitan Pavilion, 123 West 18th Street on the 2nd floor, in Chelsea. This is a Free Event.